The set called “ELECTRONIC-NATURAL” with new 32 combis uses all 4 KARMA modules and all 8 scenes available in the machine. 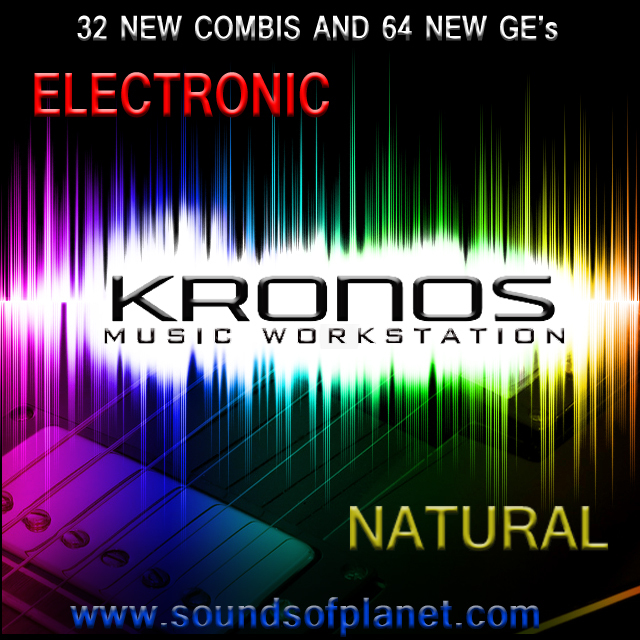 There are 32 new GEs and 32 ones known from previously released combis called Neo- Endorphin . Now your Karma can sound with new Karma runs. Many from new GEs are applied in this combination set – what enabled to get the effect of freshness and uniqueness of this new soundset . Please get familiar with the whole variety of musical climates included in that set and try out the new possibilities of your instrument. The controllers programmed for each combi, such as Joystick, Knobs, Vector JS, Switch 1, Switch 2, Ribbon, Damper will allow you to have great control over the sounds you play in really unique way. The sounds from Sounds Of Planet are always of the highest quality.